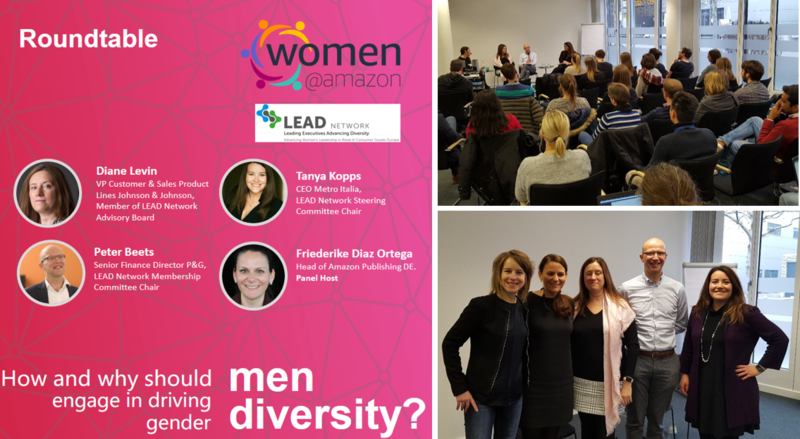 On January 21st the first event of Women@Amazon and LEAD Network took place. 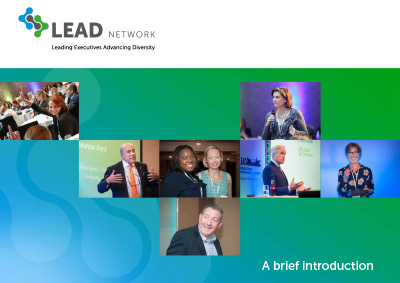 During this roundtable discussion, Diane Levin, Tanya Kopps, and Peter Beets from the LEAD Network Advisory Board and Committees discussed together with Friederike Diaz Ortega from Amazon EU SARL on how to engage more men on gender diversity topics. 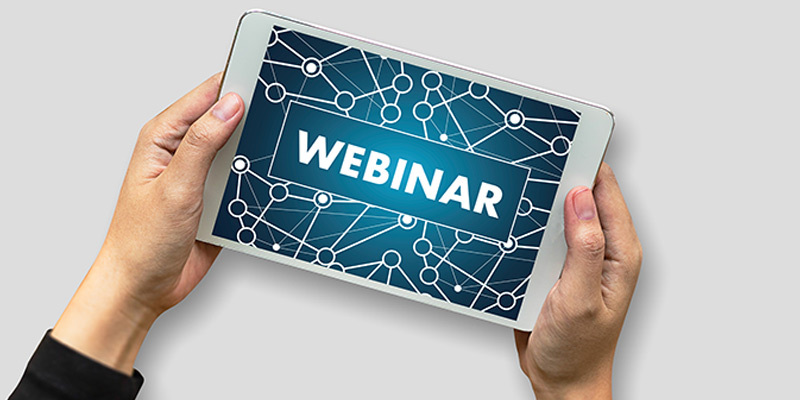 Peter Beets from the LEAD Network Advisory Board and Committees discussed together with Friederike Diaz Ortega from Amazon EU SARL on how to engage more men on gender diversity topics. Peter was telling about his own experiences and mind shift after he was participating in a MARC workshop. Diane and Tanya were building on this highlighting the importance that men and women understand the dynamics why engagement from both side is crucial and that both create an environment and choices that ensure 100% equality. After a 45min long and inspiring discussion, the roundtable was opened to questions from the around 60 people participating in Munich and the around 200 people following the livestream. This brought in even more diverse thoughts and great discussions on among others real life examples, how to engage men if they don`t see diversity as an issue and how to ensure continuation if the (few) people highly engaged in this matter may leave the company for another opportunity. Thanks to all for engaging in this vivid discussion! 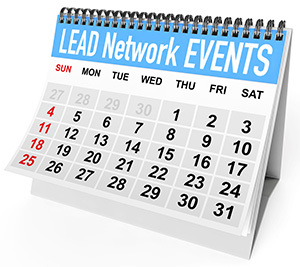 All who weren`t able to join can watch the recording of the roundtable shortly via the LEAD Network website.